This badge was issued to Anjani Kumar on 14 Apr 2018. 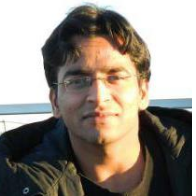 The VMware vSAN 2017 Specialist badge holder is a technical expert who understands the vSAN 6.6 architecture and its complete feature set, knows how to conduct a vSAN design and deployment exercise, can implement a live vSAN HCI environment based on certified hardware/software components and best practices, and can administer/operate a vSAN cluster properly. (Recommended) Complete the latest Hands-On Lab for vSAN, including the minimal viable add-ons. 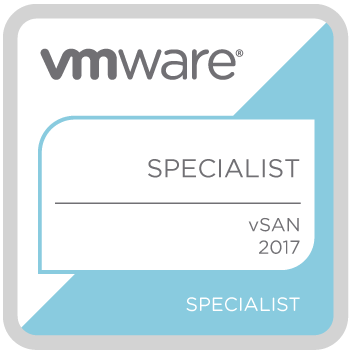 Pass the VMware Specialist: vSAN 6.6 exam (2VB-601).